Acupuncture is a treatment practice that has been in use for many thousands of years. Recent Archaeological evidence suggests that Bronze Age man knew of the existence of ‘points’ on the body similar to those used in acupuncture. The treatments used at Old Court Acupuncture are part of the Traditional Chinese Medicine (TCM) system of medicine. Acupuncture treatment involves the insertion of fine, sterile, single use needles into specific points on the skin, to activate or balance the body’s energies. After insertion, the needles may be manipulated manually, or with the aid of a small electric charge (electroacupuncture), or with heat (Moxibustion) or just left without further manipulation. Acupuncture has been part of TCM practice for centuries, starting as acupressure with sharpened bones and stones, developing into the use of needles today, and is still developing. The World Health Organisation recognises around 90 conditions in which acupuncture may have a benefit. The National Institute for Health and Clinical Excellence (NICE) have made the recommendation that patients with persistent low back pain (from 8 wks-1yr.) should be given access to a course of acupuncture treatments (10 treatments over 12 weeks). A: There have been three surveys in the last six years which have shown that acupuncture is amongst the safest therapies in use in the UK today. Out of 68,000 recorded treatments in two of the 2001 surveys, there were only 14 minor adverse events including minor bruising and nausea. There have been very few reports of serious adverse events, and most adverse effects lasting no more than a few days. A: As a BAcC member, Old Court Acupuncture uses pre-sterilised disposable needles. The BAcC Code of Safe Practice, drawn up in consultation with experts in the field of skin piercing, lays down stringent standards which all BAcC members are required to follow. The rules also extend to the hygiene and sterilisation of other equipment. A: The needles used are ultra-fine needles, and when inserted by a fully trained practitioner cause as little discomfort to the patient as possible. The most common sensations you will experience are an occasional slight pinch as the needle is inserted, then a sensation when the Qi is stimulated. This aching sensation is known as ‘DeQi’ and translates as ‘the arrival of Qi’. It may feel like a tickle, dull ache or even a warm glow. This sensation is important because it signifies that the acupuncture point is being stimulated successfully. A: You should try not to have a large meal within an hour of your appointment as the process of digestion will alter the pattern of your pulse. You should also avoid alcohol and food or drinks which colour your tongue, such as coffee, immediately prior to treatment. It is also helpful to wear loose, comfortable clothing for your treatment and you should be aware that access to points on your torso and back as well as on your arms and legs, may be required. A: Your first consultation will take an hour and a half in which a full case history is taken. 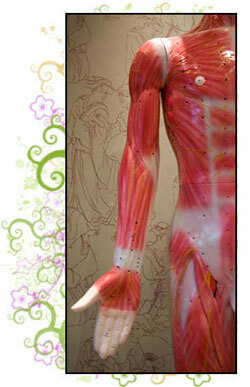 Due to the holistic nature of acupuncture, questions regarding you lifestyle, diet, medication etc will be asked. These questions help the practitioner to build a custom treatment plan for each individual to maximize treatment effectiveness. A: If you are receiving treatment from your doctor then it is sensible to mention that you plan to have acupuncture. The acupuncture treatment may enable you to reduce or even stop taking some forms of medication, but you should always consult your doctor regarding any change of prescription. The practitioner will need to know about any medication you are taking as this may affect your response to the acupuncture treatment. A: Yes, at least until you have discussed this with your doctor or the practitioner who prescribed the medication. Many people seek the help of an acupuncturist because of dissatisfaction with drug treatment, because it does not seem to be working or because the side effects are unacceptable. Do not stop any medication without consulting your G.P. A: This varies between patients. Most people have a course of 5-10 treatments and usually notice changes after three to five sessions depending on the condition.